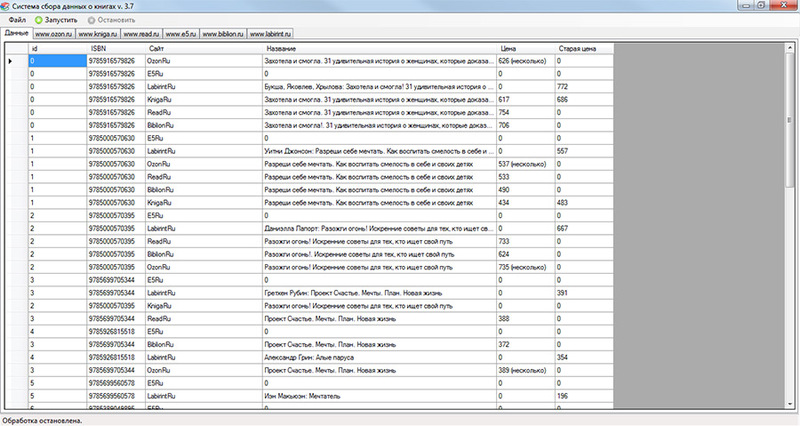 Prices Monitor system was developed in 2013 for one our client from Moscow. It was one from largest books vendor. System was developed for periodically monitoring of prices in main on-line shops which sell books. Using of this tool gives ability to set actual prices on production in automation mode.